Three’s top-rating Grand Designs NZ lost to TVNZ 2’s resurgent sitcoms in all the key demographics for the first time this season on Wednesday. 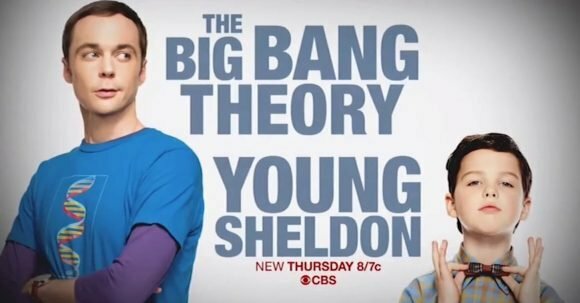 It averaged 4.8% of 25-54 year-olds compared to 5.7% for Young Sheldon and 5.8% for The Big Bang Theory. And in TVNZ 2’s 18-49 demo, it averaged 3.4% vs 4.4% for YS and 4.6% for TBBT, which happened to be the funniest episode of this or last season. The wins are good news for TVNZ 2 after several weeks of its once unassailable comedy block struggling, leading to it replacing Kevin Can Wait and Talkin’ ‘Bout Your Generation with Australian Survivor from November 21. KCW won its slot only in the 18-39 demo on Wednesday and TBYG was beaten across the board by Three’s Hawaii Five-O. With H5O moving to 10.00 from next week, to accommodate the 8.30 return of Buying Blind, TVNZ 2 will have a chance to lock in viewers with Survivor, which will overlap the crime show. The network already has a lock on the early part of the night. Although Will & Grace isn’t as strong as its lead-ins, it won in all the core commercial demos except 25-54, where it lost both to TVNZ 1’s Britain’s Best Home Cook/800 Words overlap and the season finale of Three’s Gogglebox. Shortland Street’s ratings were unusually low, averaging only 4.3% – 7.6% of the key demos, and in the 18-49 race was ahead of TVNZ 1’s Seven Sharp by only 1.3 rating points. Tuesday’s Shortland Street averaged 7.2% – 12.7%, which helped lead-out Great Kiwi Bake Off to challenge the supremacy of Three’s Australian Ninja Warrior. The 7.30 hour has become a testing 25-54 battleground, with both series see-sawing with TVNZ 1’s Outback Truckers. The latter averaged 5.2% vs 5.7% for GKBO and 5.4% for the first hour of Ninja. But Ninja’s 25-54 viewership built whereas GKBO’s slipped from 7.3% to 4.5%. The trend was the same in the other key demos, with Ninja’s popularity helping lead-out NCIS: Los Angeles to beat TVNZ 1’s improving Bad Habits: Holy Orders and Survivor. Nonetheless, TVNZ 2 narrowly won Tuesday night in the 25-54 demo, and dominated the 18-39 and household shopper races, but Three edged it out for the 18-49 vote. Their 25-54 and 18-49 fortunes were reversed on Wednesday but TVNZ 2 still held sway in the other core demos. Keep the sitcoms on but why Your Generation when it could be Murphy Brown, which would take out whatever’s on other channels. To me, Murphy Brown and Whiskey Cavalier would be a powerhouse for a Wednesday evening. Yeah, I’m keen to see Murphy Brown, too … If only they’d make another series of Aaron Sorkin’s very excellent SportsNight to go with! The Murphy Brown reboot is dreadful. I’ve seen every episode to this point and I’m left wondering “why?”. Well, Clint, this way there will be no more rubbishy repeats to watch and at least this will bring a stronger line-up for people to view.